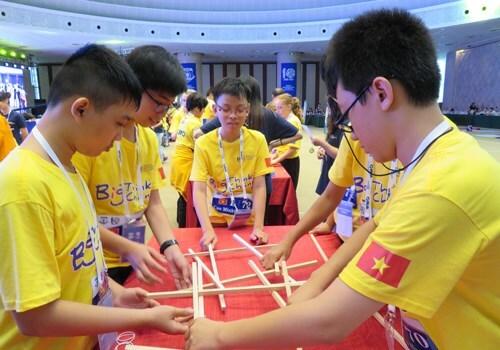 Hanoi (VNA) – Vietnamese students finished third with two silver and seven bronze medals in the final of the World Mathematics Olympiad (WMO) held in Tianjin, China from August 11-12. The silver medals went to Hoang Duong Phuc Quang and To Huynh Phuc, students of Tran Dai Nghia High School for the Gifted. The WMO is an annual international maths competition for students aged from 8 to 13, focusing on creativity, intuitive deduction, team-work and problem solving skills. This is the second time Vietnam has entered the final round of the competition with 12 students of Grade 5 and 6 from schools in Ho Chi Minh City.